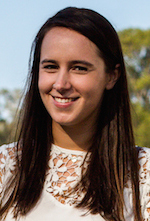 TheFashionSpot has spoken exclusively to The Bachelor‘s giggly contestant Lisa Hyde, in a tell-all interview about Blake Garvey and the bachelorettes’ style on the show, as well as her growing clothing label Shevoke. 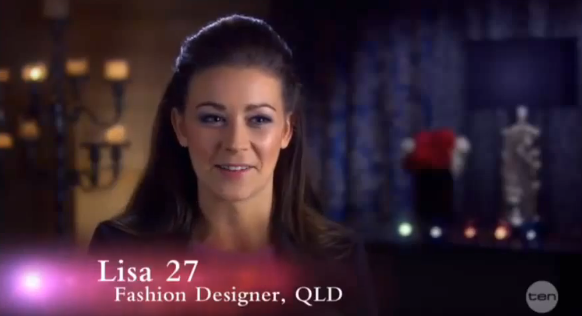 Yes, her “fashion designer, QLD” tagline is legit. In fact, Lisa tells us she’s “never felt more passionate about anything else.” That includes lover-boy Blake, with the down-to-earth brunette admitting she would not normally put her career on hold for a man. “I’ve always put my career before relationships,” she explains. “This year I really want to put more effort into finding love, and so the only option was to leave Shevoke behind and go get me a man.” And that she did, with some abseiling, helicopter rides, and a fake riverside home thrown in for good measure. For someone who knows the ins and outs of fashion so well, it’s pretty important that her companion is also able to bring his A-game when it comes to, well, looking sharp. “At first I really didn’t know if Blake had style, because he was always dressed by wardrobe and majority of the time he was in a suit,” Lisa tells us. Lisa tells us Blake’s not her usual cup of tea, revealing that the rugged, mostly shirtless man is not the typical guy she would go for, looks or style wise. But his likeable personality is totally up her alley. “He is such a caring guy, and we get along really well,” she says. As for the fashion know-how of her bachelorette friends, she says she “loved that everyone was so different yet they each rocked their own style.” She admired one girl’s look, which regularly included hoop earrings and bodycon dresses, in particular — and it’s not who we expected. “Sam often thought she didn’t have much style, but I loved how effortlessly gorgeous she looked in everything,” she says. Not Louise with the sparkly Zamel’s earrings and continuously polished appearance? Interesting. Now that Lisa is finally free from The Bachelor mansion she’s able to put her focus back into Shevoke, starting with a new season’s collection. If all goes to plan, the label’s revamped website will be live from October 6th with pieces range from $50 to $150. But now that time’s at her disposal, Lisa can finally get back into designing with or without Bachie by her side. We’ll find out tonight whether Lisa gets the boot or the ring, on Channel 10 at 7.30pm. If she doesn’t take out the last rose, at least Blake’s much-needed style tips will no longer be her concern. If she does, well, the pair will have a lifetime to work on his questionable getups.